Lifeboat Farm » Cows love grass – who knew? 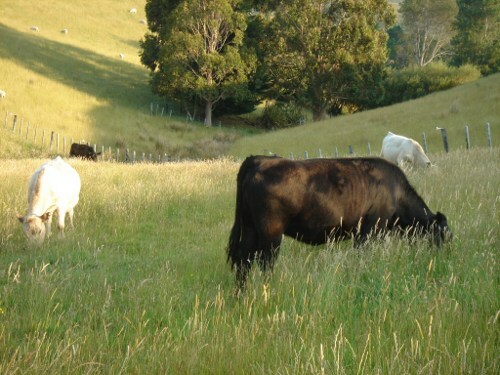 Cows love grass – who knew? New grass day for the cows is their favourite day I’m guessing. Our girls are still putting on good weight being just on pasture this time of year. We could probably get them fatter faster if we gave them grain or palm kernel but why would you when they are perfectly evolved to eat pasture, and nothing but.